It is followed by a step-by-step tutorial, with photos. 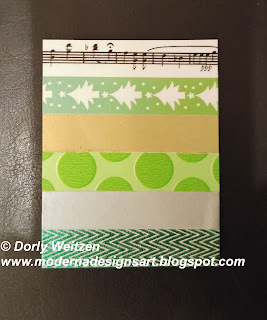 Today's card is all about making the background papers yourself. 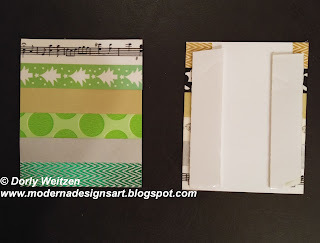 This technique is fun and easy, and it enables you to create various backgrounds, to make different cards. 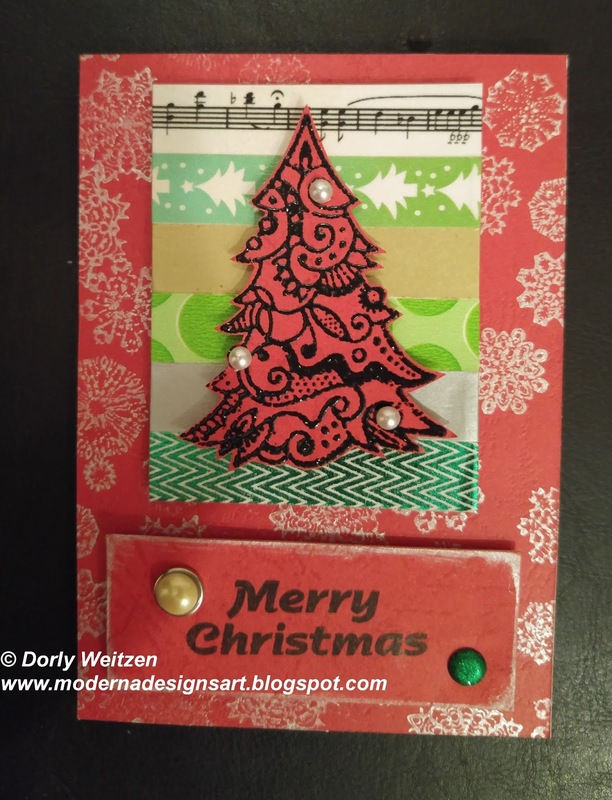 I made the main background by stamping Snowflakesfrom Designs by Ryn on a leather textured red CS. 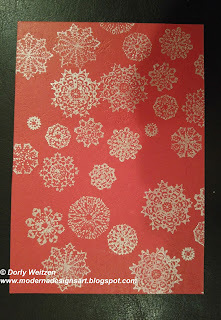 I also stamped the sentiment "Merry Christmas" on a scrap of the same red leather textured CS, and inked its edges using Platinum ink, the same ink I used to stamp the Snowflakes, to enhance it. I also added 2 brads, all shiny and bright. 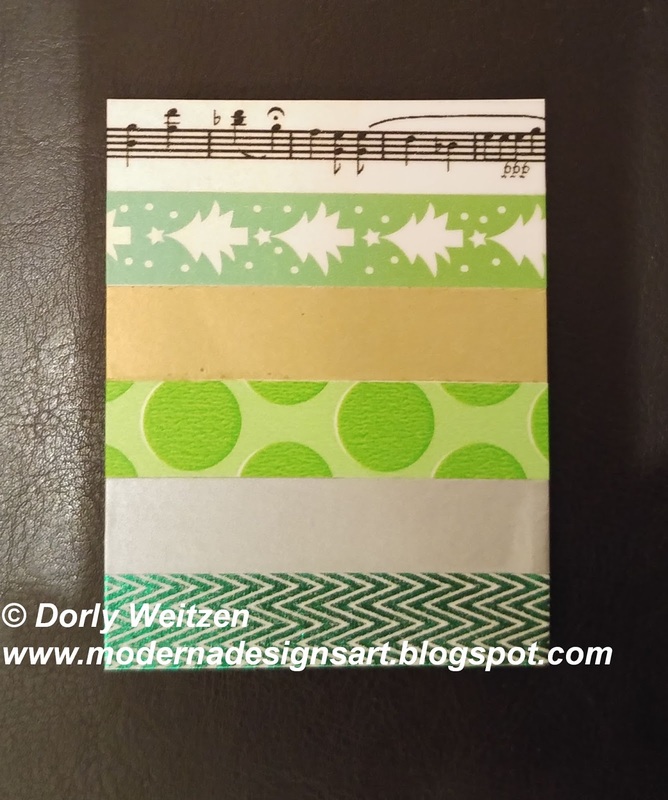 Then I used a piece of plain white CS, which I wrapped with several stripes of Washi Tape in Christmas related colors and themes. You can use any combination of Washi Tape, I simply picked those which will pop out and will be contrasted to the red background. Once you're satisfied with the size of the wrapped CS, you can trim its edge off. 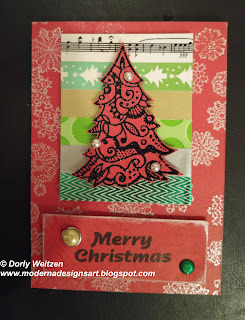 Now I used MichaelStrong's Cloisonné Christmas Tree stamp (large). I stamped and heat embossed it on a scrap of the same red leather textured CS, then I cut it and added a few pearls for some more glam. 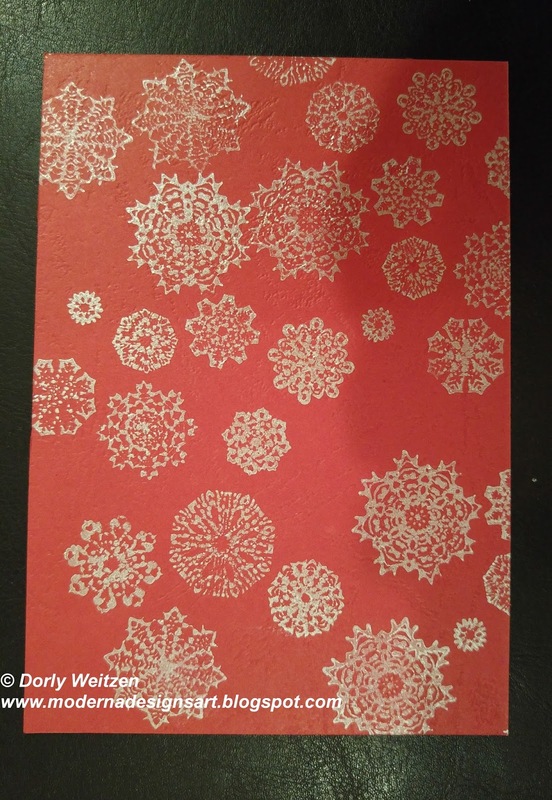 I adhered the Snowflakes background paper to the card basis, then the Washi Tape background paper and the decorated piece with the sentiment, using a double sided foam tape for a 3D effect. 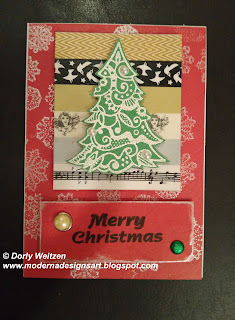 I added the Christmas Tree on top of the Washi Tape background paper, also 3D. You can see it in 2 different color combos. It sure feels like the right time to create Christmas Card. We don't celebrate Christmas in Israel, but I'd like to send Christmas cards to my friends worldwide who celebrate Christmas. Please let me know if you liked my tutorial, if it was clear (I'm always happy to answer questions), and if it made you want to create something similar. Great ideas in one card,Dorly. Thank you very much for awonderful week of your cards! Your card is just beautiful! 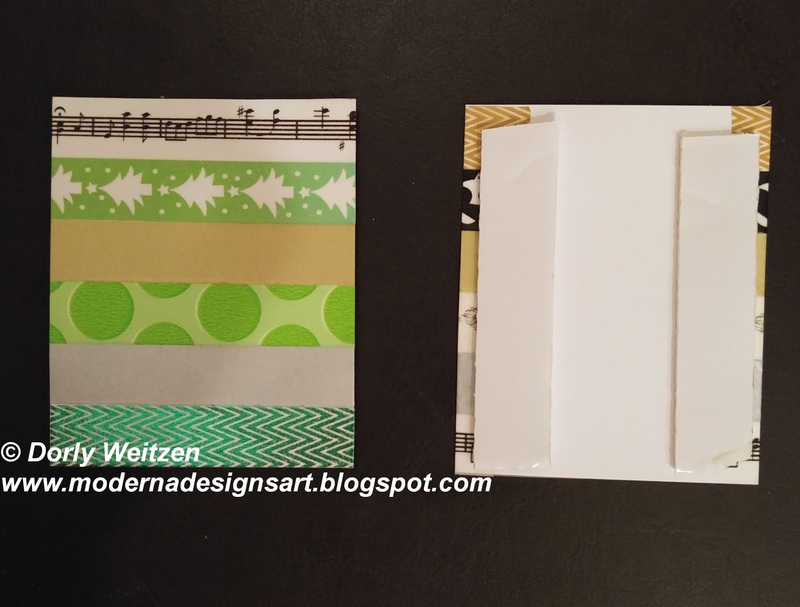 Thanks for the tutorial, especially the part about the washi tape! 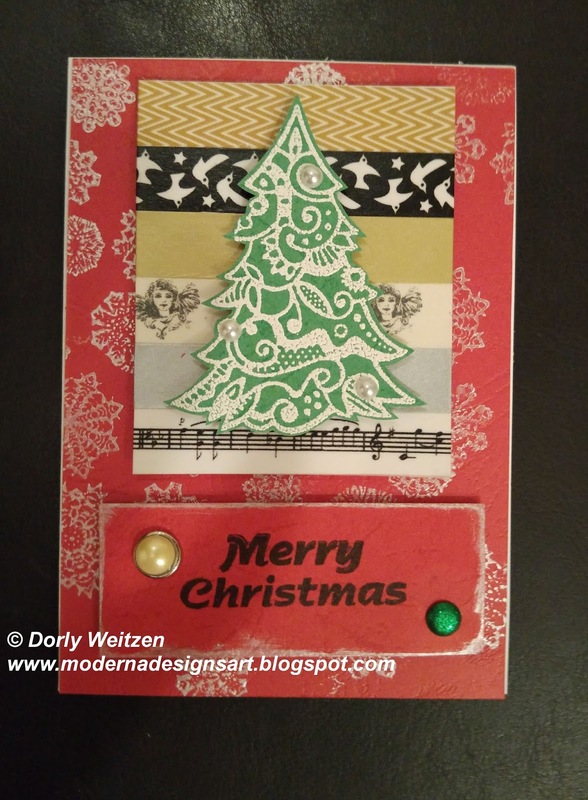 Hey Dorly, that's really nice of you to send Christmas cards to your international friends who celebrate. I'm just starting to get excited about the festive season. 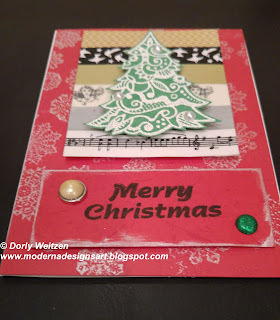 I like the layering of different patterns in this card. It's going to make one of your friends very happy I'm sure :) Thanks a bunch for showing me!